Juppogatana was lucky enough to have Gereldar accepted into the version 2 beta test. From there, the they learned that to succeed against the new bosses they would need many druids, and a good tank. Because of that, when the second update was released, many people already had level 50 druids as alternate characters. Although Juppongatana had enough druids, they lacked tanks. Juppon lost their main tank Bronn when he and his druid Bubbles went inactive. 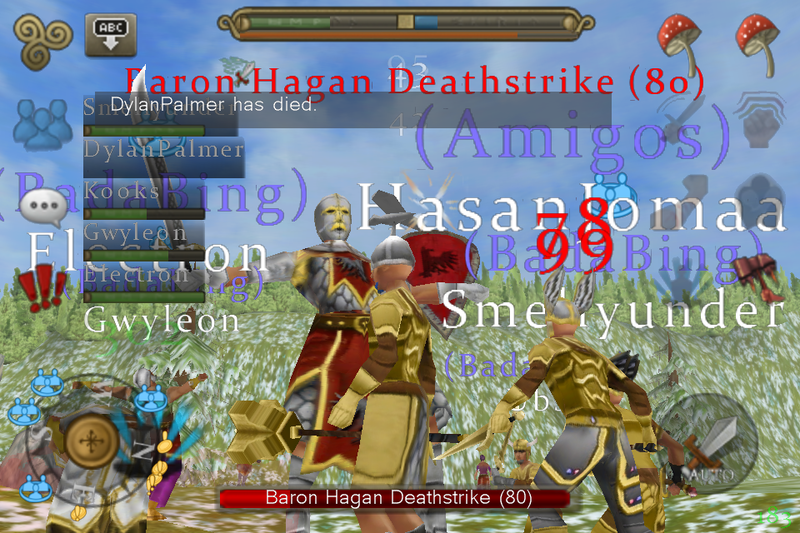 The next highest leveled warrior on the server was Xeon, however he wasn't very helpful to the clan. 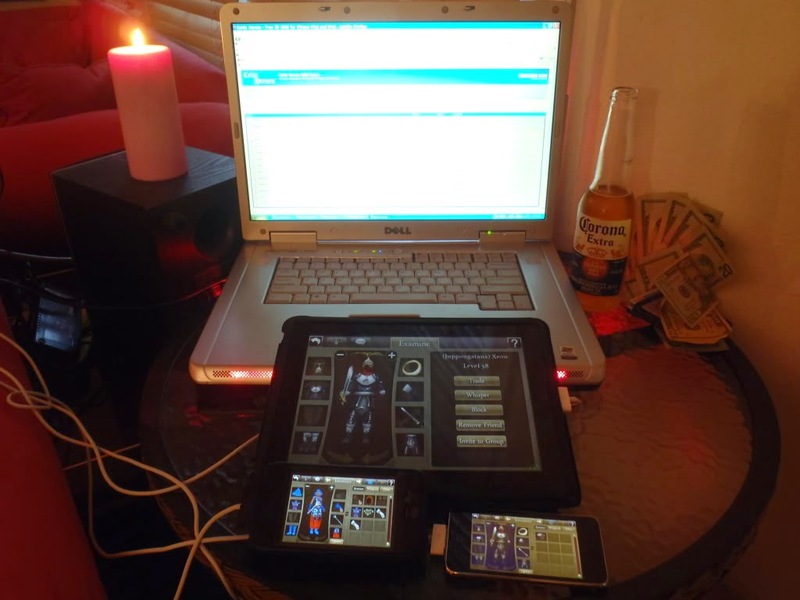 Xeon would use three devices to play his characters at the same time, and was able to kill most bosses on his own to gear up his characters without any help. He was also able to use a glitch in the game, making it so that bosses would not attack back while you were attacking it. The method involved a druid casting Natures Embrace and logging out. Xeon kept the method of doing this glitch a secret, and to this day no one is exactly sure how to replicate it. The only person left to be the main tank for Juppongatana was Kooks, who was know as a major seller of anything and everything. Juppongatana approached Kooks about joining them and gearing him up as a tank if he would help out the clan with their Warden armor. He agreed, and Juppon started defeating bosses to gear up their members. Through observation and testing, Juppongatana saw that the preferred method of killing a boss would be to use bolas, and to have a tank walk in front of it while others hit it from behind. This method is now known as "walking" or "kiting", but was then known as "rodeo clown" because it looked funny as Kooks would lead the boss around staying just out of reach while Zumuclyst used bolas on it. While Juppongatana was still gearing up their characters, Xeon had reached the end game ahead of everyone. All he needed was dragon disc fragments to finish his full set, but as of yet no one had defeated Falgren. Because of this, on October 9th, everyone banded together to take out Falgren but despite their best efforts, Falgren would kill the fully buffed tank in one hit. In a few days, there was a patch that decreased Falgren's power and Juppongatana was finally able to defeat Falgren. 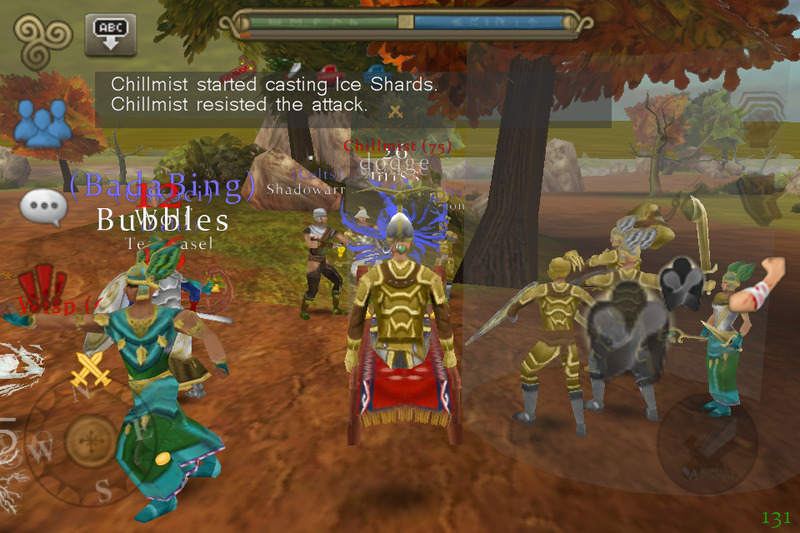 However, the first time Falgren was defeated on October 10, it was due to the glitch Xeon employed that made Falgren cast Heal and Bark, but not attack. While Falgren was glitched, Xeon and Raven started attacking. However, it took so long that Raven had fallen asleep. When Raven woke up in the morning, he found that Xeon had given up the fight when Falgren started healing and he could not out damage the heal. By this time though, Falgren had run out of energy and could no longer heal, because he was casting spells the entire night. Raven called his clan, and using only ranged damage, clan Juppongatana was able to kill Falgren. It was the first Falgren kill out of all the servers. In exchange for Xeon's help, now that the server had killed Falgren a few times he was given the dragon disc fragments he needed for full Warden armor and weapon. However, now that Xeon had reached the end of the game, he went inactive because of his experiences in the version 1 end game of Dustwither Catacombs, and the frustration associated with not getting and experience points and camping for bosses. This left all the bosses to be dominated by Juppongatana. With Kooks as main tank, all of the characters in the clan started getting geared as they were taking down bosses uncontested. However, one of the problems plaguing Juppongatana was that there were a lot of low level characters in the clan that could not actively contribute to boss battles, yet begged for quest item drops. As more and more bosses were defeated, Kooks had decided that he had repaid the clan enough, and started keeping disc fragments to sell. As the only tank who was capable of fighting Falgren, Kooks was quite open about selling fragments, because without him no one would get any drops at all. He also demanded a full set of Darkflame armor from the Halloween 2011 event, or he refused to tank the Undead Fire Titan. The final straw was when Kook's girlfriend started playing, and he started skimming disc fragments from bosses and Darkflame Armor for her, instead of having her wait her turn like everyone else. Many members sacrificed drops for Kooks to get his set first, and they felt he was cheating he clan by doing this. Despite being the highest leveled tank on the server, Kooks was kicked from the clan and was shunned by all members at bosses, getting not one buff or heal from Juppon's druids. However, this left Juppon without a tank as Bronn was not reliably active. Gereldar suggested that Frank should be geared up as the clan tank. With Kooks being the only tank able to take on Falgren, some Juppongatana members left with him to form the clan Amigos. Besides the issue with Kooks, there were other problems brewing within Juppongatana. 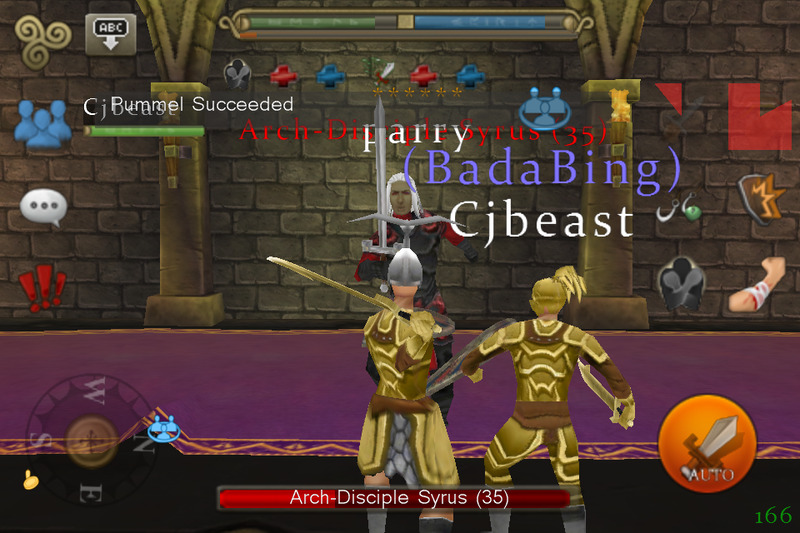 Recruiting standards had been relaxed, and some immature players joined the clan. Some clan members were also upset about Wizard's alt Krypto being let into the clan. In addition, some clan members wanted there to be more than ten guardians. All of this added up to a lot of bad feelings and drama in the clan, which led to Xell, Frank, and Ana persuading Raven to rebuild the clan from scratch, with the goal of getting end game gear for it's members instead of trying to gear up the entire server. Juppongatana disbanded on November 18, 2011 and was reborn as Serenity. One of the main goals was that the clan be free from drama. Raven continued as chief of Serenity, bringing with him loyal clan members who were level appropriate for the end game bosses. The lower leveled people from Juppon that did not get invited to Serenity were urged to join some of the smaller clans at the time: Uskoci and Sparta. Serenity was also founded by members of the clan King-O-Wing, who were known to be experienced players, and shared in the leadership of Serenity. Among them were Kingowing, SirWinston, Chopsaw, and some others. There was no chief of Serenity, as the bank was made chief. All decisions in the clan were made democratically by voting on their Facebook page. 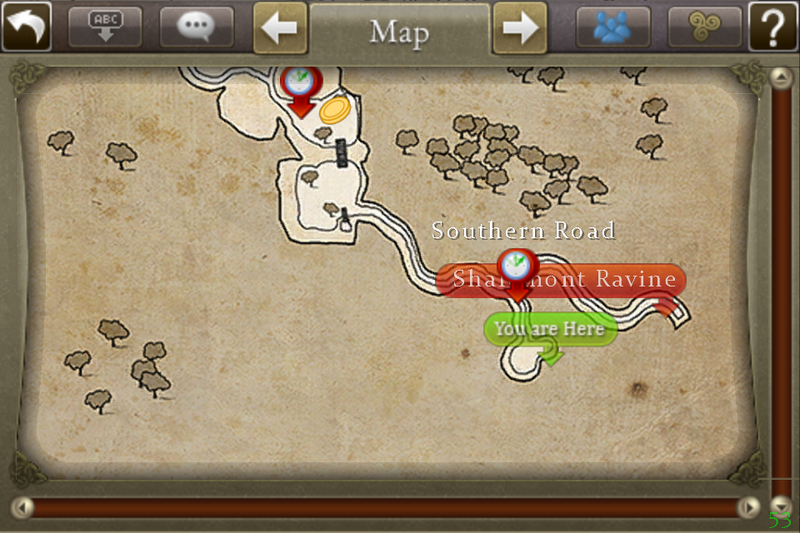 Serenity dominated Arawn in the early days of Update 2. They were able to take down any boss with no competition, and for that many saw them as elitist and selfish because they would not group underleveled characters in a boss group. What many people failed to understand was that you needed to be level 60 to do damage to most bosses, and that group space was limited to four people. People also did not realize that Serenity was working to gear up people on the server after they geared themselves. Under Serenity's direction, Frank set up "Uncle Frank's Frag Shop" where you could buy disc fragments for a very low price. Uskoci was a small clan mostly made up of Serenity alts, led by Tomo with his sidekick Vinci. They started out as a quiet clan with a lot of warriors, and did virtually no raiding but slowly built their membership as Serenity members got bored and created alternate characters. BadaBing was formed by Bubbles, who had by then quit playing his warrior Bronn and had given it to Wolf. When Bubbles came back from being inactive, he created a warrior named Bronny, and joined Serenity. This was short lived, however, because he was dissatisfied when he heard that Raven lied about being a 29 year old female, and was actually a man. Another concern was that he thought that the Serenity clan bank was being used for personal gain. Because of these reasons, Bubbles left Serenity and created a new clan named BadaBing that was more accepting of new players, and could help at lower levels. In the next few weeks, BadaBing started to grow it's membership by recruiting players that were not in Serenity, and by merging with a newly recreated Wolves clan. BadaBing also allied with the clan Amigos, of whom Bubbles' friend Kooks was chief. Another major clan in update 2 was Celts, formed by Obfionn. Shortly before the end of December 2011, Teaweasel took over as chieftain. They would grow much larger in the coming year. Zumuclyst was the originator of the "walking" bosses. Yes, BadaBing is named after the club in the Sopranos! Serenity was named for being calm, but also was named after the ship from the Firefly TV series. Teaweasel's name came from the random name generator in Xbox Live. You could always see him sitting in his Avalanche Sled. During this time the scammer named Bandit was very active, and caused many people to quit the game. The first person to dual and triple log characters on Arawn was Xeon. He could take down bosses on his own. In the first weekend of the update, Kooks found out that you could equip Tam Lin's sword, and that it had 0 speed. This allowed Juppongatana to get many disc fragments quickly. Warden offhand weapons existed in the v2 beta test, but for some reason never made it into the live game.